Yes yellow! 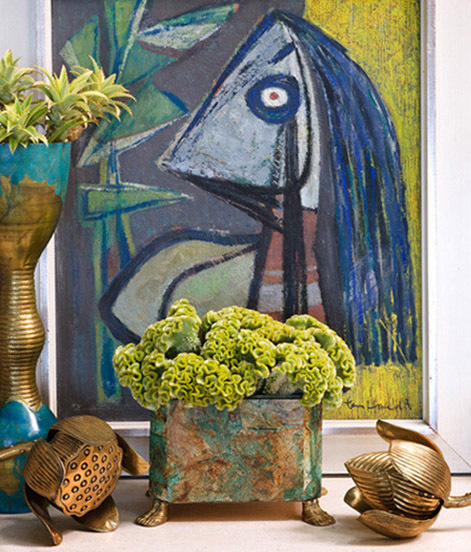 Its Spring in London sunny days with a smidge of warmth in the air have made me add a splash of yellow to my interiors. First up our concession at The Shop at Bluebird. We are painting the walls softest, palest grey coupled with sunny, rich yellow – a marriage made in heaven I think. Then the outside of our Upper Street store is going a rich, buttery sunshine yellow. Yellow has a bit of reputation for being tricky to use mostly because of its distinctive identity – but if you don’t use it all over its high voltage tones will become less over bearing. I also most say yellow with down pipe (a colour I am mad about – if I could dye my hair down pipe I would) looks fabulous as it literally pops out the wall. I shall leave you with two images and hope the sun is shining where you – crazy week this week deliveries non stop and big changes everywhere. 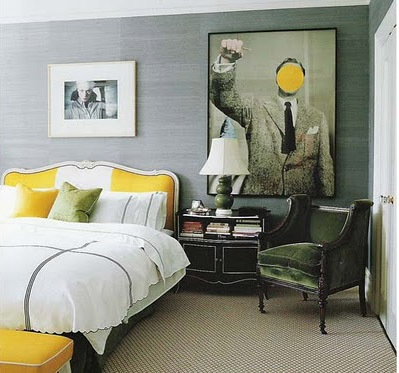 I love this painting and how the splashes of yellow turn what could have been a rather boring room into something rather fabulous.